Catch-22: Is the novel still relevant to modern soldiers? The classic novel that coined the term describing impossible situations is celebrating its 50th birthday. So how close does Catch-22 come to accurately portraying today's military? Most people will have uttered a remark about being caught between a rock and a hard place, in a Catch-22 situation. A no-win dilemma where you're damned if you do and damned if you don't. But fewer people will have read the 1961 novel of the same name that propelled the phrase into the English language. Catch-22 was published 50 years ago. Written by Joseph Heller, it describes the wartime experiences of B-25 bombardier, Captain John Yossarian. Heller himself had served as a US Air Force bombardier in World War II. He drags us through the muck and absurdity of a droll group of WWII airmen stationed on a small island off the coast of Tuscany - taking in the dark and brutal nature of war. In it hero Yossarian takes drastic measures to avoid flying an ever-increasingly required number of dangerous missions. Captain John Yossarian is the protagonist and hero. He is a bombardier in the 256th Squadron of the Army Air Corps during World War II, responsible for sighting and releasing bombs. All he really wants to do is go home. Milo Minderbinder is the mess officer who runs a global black-market syndicate. He pursues profit unscrupulously, going so far as to bomb his own men as part of a contract. Major Major Major Major was born Major Major Major and is unjustly promoted to major. He is uncomfortable with his new role and lonely because it keeps him at a distance from the other men. Colonel Cathcart, who keeps increasing the number of missions the men have to fly to complete a tour of duty, is the bane of Yossarian's life. He's obsessed with promotion and will do anything to please his superiors. General Dreedle is the typical no-nonsense military man, who is exceedingly demanding of his soldiers. His arch-rival General Peckem wants to take his place in Pianosa. Doc Daneeka is disgruntled that he was drafted and is missing out on a lucrative medical career. "Why me?" 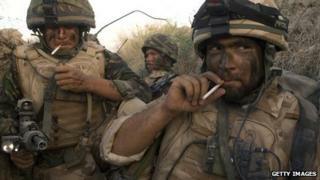 is his attitude towards war. The only way to avoid such deadly assignments was to plead insanity, but to do so exposed a desire to live - a core aspect of the sane. Paul Bates, 42, understands Yossarian's plight. A lieutenant colonel with the British army's Royal Artillery regiment, he is currently working as the operations officer with the US Marine Corps in Afghanistan, he says Heller is spot-on in his depiction of this internal conflict. "Many observers say that the character of conflict changes because of such things as technological advances. But the nature of conflict, the brutal, chaotic nature of it and the associated emotions - fear, exhilaration, anxiety, courage - remain the same. "I see that in the book and have experienced it throughout my time in the Army. Yossarian was afraid of dying, so were many of his colleagues, and he was going to do everything in his power to try to prevent it from happening." Yossarian, who of course was drafted into the war, takes drastic measures to avoid flying dangerous missions. These include poisoning the squadron, making up fictitious ailments to stay in hospital and moving the bomb line on the map during the "Great Big Siege of Bologna". Lt Col Bates says other Catch-22 characters are just as recognisable. "Others were fatalists. They say things like: 'If you're destined to be killed over Bologna, then you're going to be killed, so you might just as well go out and die like a man.' Both of these approaches are ways to deal with fear of existing in a profession where you are trained to kill and might be killed yourself. "I've seen them both on operations along with others, like the blase demeanour of Aarfy or Havermeyer's invincibility complex. I myself am a fatalist. If it's your time, it's your time." Lt Col Bates also sees similarities in frustrations surrounding the military's hierarchical organisation, which gives rise to comic, inept characters in command positions such as Cathcart, Dreedle and Peckem. There is a quote in the book: "Some men are born mediocre, some men achieve mediocrity, and some men have mediocrity thrust upon them. With Major Major it had been all three." It sums up a character who was unjustly promoted to the rank of major, on account of his birth name. "By virtue of their appointment alone and their position in the chain of command, they are allowed to get away with enforcing outrageous self-serving orders that those below are powerless to resist for fear of extreme military punishment," says Col Bates. Heller wrote of the combat men in the squadron being "bullied, insulted, harassed and shoved about all day long by one after the other", unable to object to orders. In Catch-22, for those lower down the food chain, there is nowhere to go to question methods. The same can be true today mainly because the army employs the same top-down reporting system that was in place 70 years ago, says Lt Col Bates. "This is where the military finds itself in a Catch-22. It needs to adopt a strict hierarchical system in order to fulfil its mission. There is little time for debate in a conflict situation. And yet this system can give birth to both brilliance and toxicity." When the book was published in 1961, reviews were polarised, ranging from "the best novel in years" to "disorganised, unreadable, and crass". Views still are. Rex Temple, a retired US Air Force senior master sergeant, says he a hard time reading Heller's comical depiction of life in the armed forces. He found it hard relating to the characters, their actions and their relationships. "Perhaps I am a bit biased because I served 28 years in a more mature and reformed service. Even past discussions with World War II veterans did not reveal anything like that portrayed in Catch-22. "Our current military is much more disciplined and respectful than the characters portrayed by Heller. There really is no comparison to the current tours in Afghanistan or Iraq." Although he did find one similarity - field mice in the tents. "Except [now] an individual would be court-martialled if they used their government-issued weapons to kill rodents inside. Generally, it is forbidden to eat food inside because the falling crumbs attract insects, which attract lizards or mice," he says. Dr Roy Heidicker, 4th Fighter wing historian based at the US Seymour Johnson Air Force Base in North Carolina, says those who serve are too busy with their duties to appreciate the irony of their circumstances. During his time serving in the US Marine Corps, Dr Heidicker acted as battery supply officer, just like the outrageous Milo Minderbinder - Heller's mess officer who runs an international black-market syndicate. He pursues profit unscrupulously, but insists that "everyone has a share" in the syndicate. A classic interaction has Minderbinder looking to trick Yossarian into eating, and enjoying, chocolate-covered cotton, as he desperately tries to find a way to feed the men his latest acquisition, seeds and all. "Milo would have been proud of me as I developed my own 'everybody wins' method of doing business," says Heidicker. "If battalion supply didn't have it, chances were I did. I brought my system with me when I ran Regimental Special Services and had a flair for trading excess equipment for short equipment resulting in perfect inventories." When someone writes the next great military novel, Dr Heidicker says, all insanity and absurdity will be documented through politicians, pundits and the man on the street. "Bless Joseph Heller for a guidebook for the past 50 years. We search, hopefully not in vain, for a guidebook to help us through the next 50."